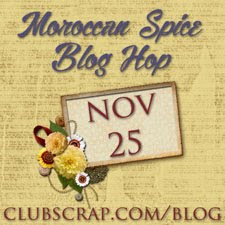 Carpe Memoria: Playing with "Take Wing"
Club Scrap's kit this month is a fun, colorful one called Take Wing. Here's a picture of the CS kit; the Lite kit ships Monday! Isn't it fun?! Just love the swirls, feathers, leaves, and birds. It even has some flowers, which endears it even more to me. The colors are a glossy white, two shades of green, a red, and the prettiest navy I've ever seen in a paper. In fact, that navy print in the top right of the picture has a silver print on it--probably my most favorite CS paper of all time! I decided to play with the kit today. I've been making cards a lot lately. I like being able to try new techniques (new to me, anyway) on a smaller scale. These are the materials I picked out: both greens and a navy. All of these came from the HPOPs (half pound-of-paper) that CS offers. I like getting this pack so I don't have to cut into my 8.5x11 or 12x12 papers. It comes with various sizes of the kit papers. I also pulled out the navy ribbon from the kit and the "Thank You" stamp from the Greeting UM (unmounted) stamp set. 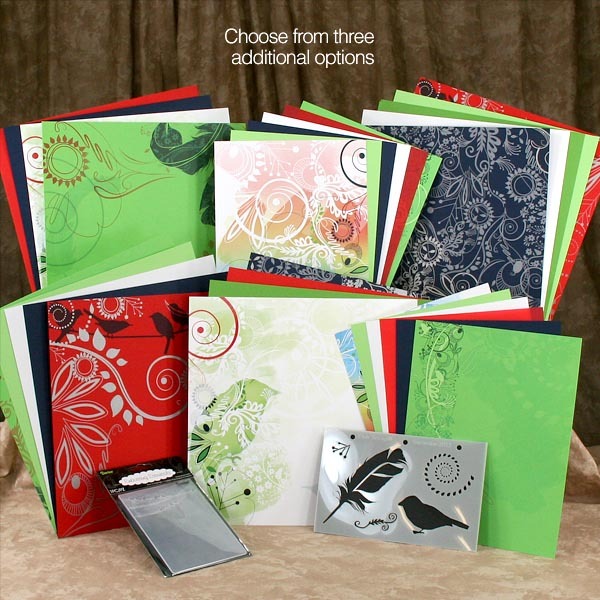 The embossing folder in the back has a feather design. It's from Paper Wishes. I always label my embossing folders so I can find the one I want quickly. I only wanted to emboss part of the panel--leaving the top smooth for the greeting. I placed the stamp on the paper and adjusted the paper inside the embossing folder. Ran it through my Wizard, and the beautiful feather design appeared. After stamping the greeting, I adhered the navy ribbon at the top of the embossing. Sliding a smaller piece under that one, I tied a knot, which makes it look like a bow. Love that tip! Here is the finished card. I die cut some flowers out of some small papers from the HPOPs bag. I really can't make a project without adding flowers of some sort. The dies are from Paper Wishes. The tiny flower in the center is from Club Scrap's Birds of a Feather collection from a few years ago. The green is a great match with the Take Wing kit. Lisa, love the step outs! Fantastic card using a beautiful collection! Thanks, Julie! So fun to do a panel with embossing on only part of it. Beautiful! So elegant in its simplicity! Thanks, Lynn. The two-color look is a bit different. Beautiful card!Thanks for your instructions. Wish my kit was here! Oh, Hetty! It must be so hard for you to see others creating with their kits while you are still waiting! The one I have is the early version of the Spellbinders machine, but I'm not replacing it because (1) it works and (2) it's purple! You really should get one, though. The embossed look is so nice!